The Iron Clinic was established in 2015 and is one of the first private clinics to offer iron infusions on an outpatient basis. The clinic is led by Professor Toby Richards, a world leading expert in the treatment of iron therapy. We are a private clinic providing intravenous iron infusions for clients suffering from iron deficiency and anaemia. We are proud to deliver the highest standards of care and aim to create an environment where the client feels reassured, confident and informed during the whole experience. Prof. Richards leads several clinical trials on intravenous iron therapy both in the UK and Australia focusing on patient welfare, fatigue and quality of life including specific trials in women’s health. Dr Rao Baikady is a Consultant in Anaesthesia, at The Royal Marsden NHS Foundation Trust, London, UK. He is lead for peri-operative anaesthesia and specialises in major cancer surgeries. He initiated the Royal Marsden anaemia management program with intravenous iron infusion, blood conservation strategies and education for health professionals. As part of this he developed ‘The Marsden Protocol’, enabling a one stop full treatment dose of iron for patients in one sitting. 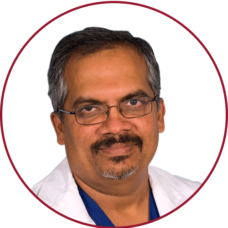 Dr. Rao Baikady actively promotes evidence based practices on anaemia and haemorrhage management. He is a key opinion leader on anaemia management in major surgery and has probably overseen more intravenous iron infusions in this setting than most in the UK. His research projects include peri-operative anaemia management, cardio pulmonary exercise testing and evidence based management of major haemorrhage. Dr Moya Kelly is a senior GP with a special interest in women’s health. She has been a GP for 25 years and also teaches at Cambridge University Medical School. She has specialist training in gynaecology as well as psychiatry and paediatrics. Dr Moya Kelly is passionate about promoting women’s health and well being in all aspects of their lives. Her interest in Iron deficiency anaemia developed as a result of seeing many of her own patients with this condition. She has recognised that improving the diagnosis and appropriate treatment of Iron deficiency is A COMMON unmet need ESPECIALLY IN WOMEN. 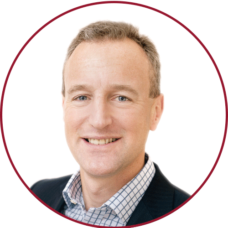 Dr James Uprichard is a consultant Haematologist and specialist in anaemia management and blood transfusion. He qualified at University College London and trained in London where he undertook a PhD thesis in rare bleeding disorders and blood clotting. Dr James Uprichard is a consultant haematologist to St George’s hospital. Since 2011, he leads the blood transfusion service and management of bleeding in patients with major trauma. He has extensive experience in treatment of anaemia (including iron infusions) and. working with patients who wish to avoid blood transfusions (including Jehovah’s Witnesses). Dr James Uprichard is a member of the NHS National Blood Transfusion Committee patient blood management working group and a regular speaker at national and international conferences in haematological, including the management of anaemia and intravenous iron therapy. 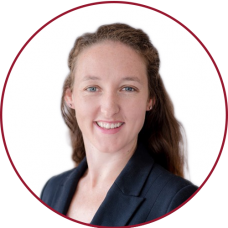 Dr Caitlin Scott qualified as a GP from The University of Cape Town, South Africa, with over four years’ experience in hospital and private general practice. Her passion is for women’s health and also as mother of two has enabled a deep understanding and empathy for women and their need for good mental and physical health. 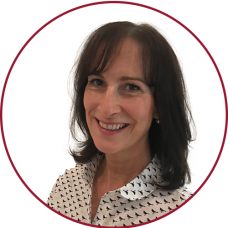 Since moving to the UK in 2017 Caitlin has been responsible for running the Iron Clinic, and established a wealth of experience in intravenous iron therapy to patients of all ages. Dr Caitlin Scott manages your pathways from first contact, your inquiries and questions before coming to The Iron Clinic and your follow up. Caitlin is an invaluable and well liked part of the team caring for you at The Iron Clinic. She is also participating in a number of research projects looking into the symptoms of anaemia and iron deficiency. 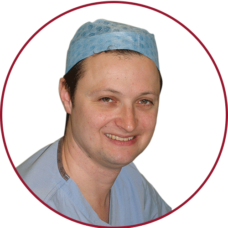 Dr Andrew Klein is a Consultant Anaesthetist at Papworth Hospital in Cambridge. He has a long interest in anaemia management and was one of the first clinicians to highlight the problems of anaemia in patients undergoing surgery. He has set up one of the first preoperative pathways for intravenous iron therapy in heart surgery. 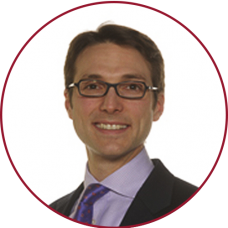 Dr Andrew Klein is Editor of the journal, Anaesthesia with significant publications on anaemia management, iron deficiency and iron therapies. He has lead ground breaking work into the diagnosis of iron deficiency in patients with anaemia highlighting the need for intravenous iron therapy. As part of CAVIAR he leads international research into intravenous iron therapy in patients undergoing surgery. The team here comprises world leaders in the role and use of intravenous iron. They have carried out extensive global research into the use of intravenous iron to treat iron deficiency and anaemia. Our Experts lead in pioneering treatments and collaborations exist internationally in Europe, Australia, America, South America, Singapore and Lebanon. They advise to the UK Department of Health, NHS Blood & Transplant, British Blood Transfusion Society, Association of Anaesthetists amongst many others. They have given over a hundred invited international presentations in the last five years. Iron infusions offer a rapid treatment for anaemia.